JAMMU: Many senior leaders of the BJP including former ministers and MLAs today preferred to skip Prime Minister Narender Modi’s rally at Kathua. Most of the senior leaders, former ministers and MLAs who skipped the rally were from Jammu, Rajouri, Poonch and Chenab valley areas. 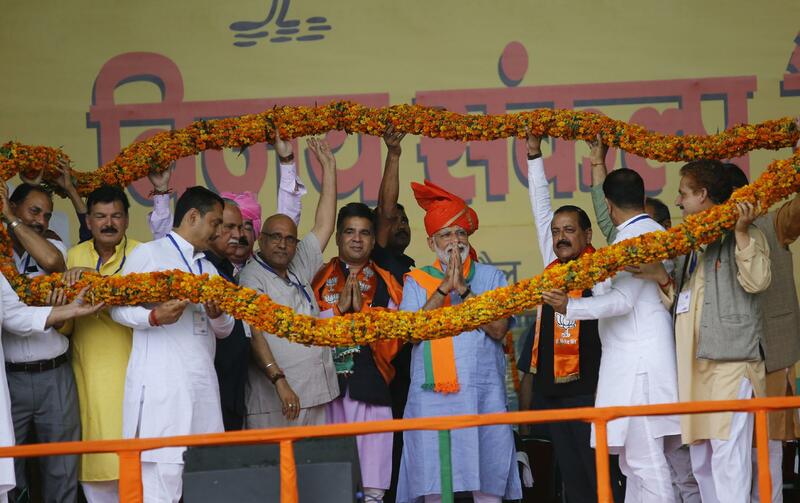 Apart from BJP state president Ravinder Raina, most of the former ministers and former MLAs from these areas did not attend the rally of Prime Minister at Kathua. Former BJP state president and former minister, Sat Sharma, former ministers Sunil Sharma, Shakti Sharma, Sham Chowdhary, Ch Sukhnandan, Abdul Gani Kohli, Ajay Nanda and former deputy chief minister Kavinder Gupta, former MLAs, Rajesh Gupta, KL Bhagat, Neelam Langeh, Rajeev Sharma, D Manyal, former minister Chander Prakas Ganaga and few other leaders skipped the rally.